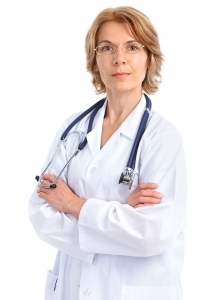 following the rules so that the physician or practice does not lose opt-out status. Additional online guidance for physicians opting out of Medicare is provided by the Association of American Physicians and Surgeons. Physicians should plan carefully before opting out of Medicare, preparing for deadlines to effectuate the opt-out process with the federal government, and notifying and contracting with Medicare beneficiaries who remain patients of the practice. Appropriate mechanisms must be in place to ensure that a practice does not accidentally bill Medicare after opting out. These and other related issues are appropriate for discussion and advice from healthcare counsel as a physician or practice prepares for a Medicare opt out. In addition, the AAPS website provides articles offering experience and advice from physicians who have opted out of Medicare. Although concerns have been expressed that the decisions of individual physicians and practices to opt out of Medicare results in restricted benefits to Medicare beneficiaries, in fact the number of practices opting out of Medicare is quite small, so that patients still should have ample options to obtain treatment from a Medicare-participating provider. An article published in late 2013 by the Henry J. Kaiser Family Foundation places the numbers in context, explaining that on a national level, Medicare beneficiaries still have good access to physicians. Reliable national statistics as to the number and percentages of Medicare opt-outs are evasive, as states have not been required to report those numbers to CMS. However, reports from states that do track and report Medicare opt-out numbers support that the percentage of provider opt-outs remains small. For instance, a CMS spokesman in Texas, a state requiring reporting of Medicare opt-outs, responded in 2012 to a concern as to the impact on Texas Medicare beneficiaries as a growing number of physicians in that state opted out: “Though we should all be interested in determining why the number of Texas physicians ‘opting out’ of Medicare is higher today than a decade ago, it’s important to point out that the number still represents just a fraction of 1 percent of the state’s total physician population – a very small percentage,” said Bob Moos, public affairs specialist for the CMS region that includes Texas.